The Buckingham Fountain. 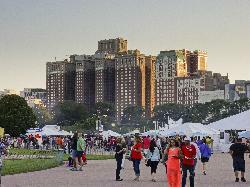 Photo taken in Grant Park in Chicago, during the 2014 Taste of Chicago event. 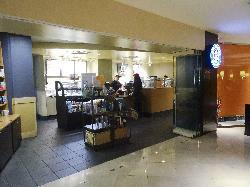 Starbucks located inside the lobby at the Chicago Marriott Magnificent Mile on North Michigan Avenue. Chicago Marriott Magnificent Mile hallway, as seen when entering from North Michigan Ave entrance. In the distance is the main lobby. 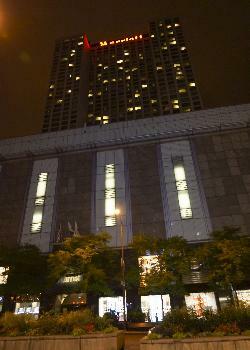 Night view of the front face of Chicago Marriott Downtown Magnificent Mile from Michigan Avenue. 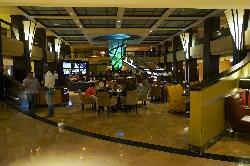 The main lobby lounge at the Chicago Marriott Magnificent Mile. The bar and television screens are at the rear. Fitness Center on 9th Floor at Chicago Marriott Magnificent Mile. 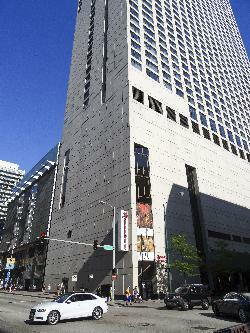 View Chicago Marriott Magnificent Mile from the corner of Ohio Street and Rush Street. 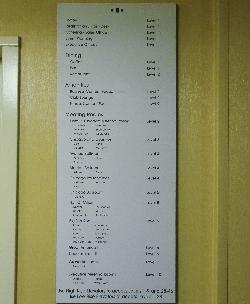 List of all floors at the Chicago Marriott Magnificent Mile. Posted outside elevator in the hotel. 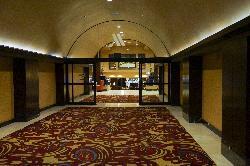 Includes dining, amenities, and meeting rooms. View of the Chicago Hilton during the 2014 Taste of Chicago. Held in Grant Park. Official City of Chicago Website. The source for information about City services, departments, programs and initiatives, and officials for Chicago residents, businesses, and visitors. Official government site for the state of Illinois.